Twitter has unique role in generating huge traffic to the websites and bloggers are in search of new strategies to increase twitter followers free, If you are also one of them who want to know How to get more twitter followers free fast then you can follow tested and trusted techniques by which we have huge amount of followers. 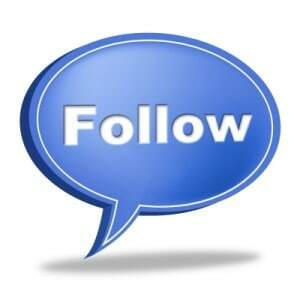 How to Get More twitter followers free fast ? People must choose username as per their own name or brand of company / product / website and if the name is not available or already taken then you can choose it according to keywords so it can be searchable in Twitter as well as search engines also. Your twitter bio is really important to describe all the services which you provide like if you are a blogger and write about seo / internet marketing / social media then you must mention in your bio about your blog topics so people can find you always when they search for seo blogger / social media blogger in Twitter search box. You can see ideal Twitter background image size to make your Twitter profile more attractive easily. Note – If you are not visible in front of other users then no one will follow you after search. You must be connected with other peoples are so much popular in your niche who have thousands or millions of followers because if you will follow them then their follower will see you also. So few of them would like to follow you also because you have related profile. There is limit in twitter for following other peoples so you will be limited to follow, so manage with this problem you can un follow those who are not following you back. For the un following task you can use below mentioned tools which i also use regularly. Giving equal value and respect to other users is really important in internet world So you must follow your new Twitter follower other wise after some time it may be possible he will un follow you so always give them respect and equal benefit just by following them. We have heard that there are many sites offering to buy Twitter followers, like social shop. Whenever you contact with any one professionally you use your website as signature but now its time to add your twitter handle also as signature so reader of your can connect with you on top social media site can read your latest updates via tweet. If you are tweeting about any topic then don’t forget to use # hash tag in tweet before any important keywords so peoples who are not following you but reading updates about that particular keywords can also see you and this way increase the chances some of them may follow you instantly. I feel sharing best one line quotes in tweets time to time makes our tweets more visible to the users. Friends remember 1 thing more visibility = more followers. So re-tweeting the famous tweets increase our visibility in front of other visitors and in this way you will get more twitter followers free and fast also. Follow buttons on our blog increase the chances to convert our normal visitor into the follower of twitter handle of our blog. I also apply the method as you can see in the left side of my blog below my profile description. Giveaways are really good thing to increase the follower ship of our profiles because every one want reward of doing any thing in the blogging industry. 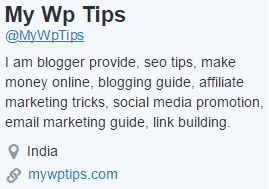 So organize any giveaway will give some decent number of followers in very short time period.